Biography: Jen Sookfong Lee was born and raised in East Vancouver, British Columbia, and she now lives with her son in North Burnaby. 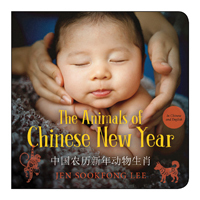 Her books include The Conjoined, a finalist for the Ethel Wilson Fiction Prize, The Better Mother, The End of East, Gentlemen of the Shade and, with Orca, Chinese New Year: A Celebration for Everyone and The Animals of Chinese New Year. Jen appears regularly as a contributor on “The Next Chapter” on CBC Radio One and teaches at The Writer's Studio Online with Simon Fraser University. For more information, visit sookfong.com. Gung hay fat choy! 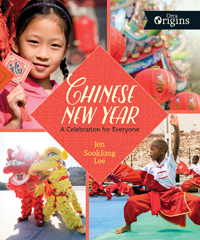 Chinese New Year is a snapshot of Chinese culture. It’s a race to the finish!